In this issue: a plea to travel slower, a heartwarming true story of a low-caste Indian man journeying across Asia and Europe to marry a Swedish backpacker, and one woman's autobiographical account of facing down her fears as a traveler and a human being. For the past few decades, we travelers have been bombarded with inducements to use the new technology to enhance our experiences—using everything from hotel review sites to apps for finding shared lifts. If any evidence were needed to see the pendulum swinging the other way, this book is it. Like all "field guides," this one is illustrated but instead of identifying natural objects, this one identifies and offers ways of helping us to counteract our unnatural addiction to technology. 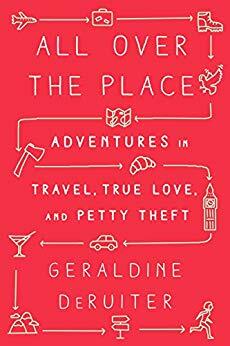 The book gently argues that instant gratification does not necessarily lead to memorable and worthwhile travel experiences, and it suggests concrete steps for readers to make traveling more active than passive. Depending solely on your smartphone's blue dot makes you blind to new environments and isolates you from the local people who would willingly offer directions (not necessarily accurate but that is half the fun). A lot of tips are pure common sense; of course a good traveler takes local advice and is a good listener; however the six self-evident suggestions under the heading "Listen like you mean it" do not take into account the probability of having no language in common. For that you might achieve better communication with a translation app. Other tips are original if a little bizarre. For example, to encourage savoring and really focusing on a meal abroad, the author suggests eating with the wrong hand. I really liked her revolutionary advice on jet lag: "Don't fight it... sleep when you're tired...discover the joys of reading a book in the dead of night." Some bits of advice sound hopelessly dated, like carrying a list of phone numbers for English-speaking doctors in your destination, when this kind of information could be so much more quickly and reliably found by using a search engine. Even in a book which is all about unplugging and "going dark," the odd contradictory piece of advice creeps in. For instance, if you want to dine with the locals, you’re advised to turn to one of those San Francisco start-ups like Traveling Spoon. Will we really ever revert to 35mm film—so much more expensive than digital for a start—and to lining up for telephone booths? (The drawing on page 100 is of a graffitied old pay phone which in real life would be long broken.) I do not feel ready yet to hand in the GPS, which has cured many a frayed temper when navigating in foreign cities. But this book is a timely exhortation to slow down and become more mindful of what has been lost by trading in analog pleasures for digital ones. 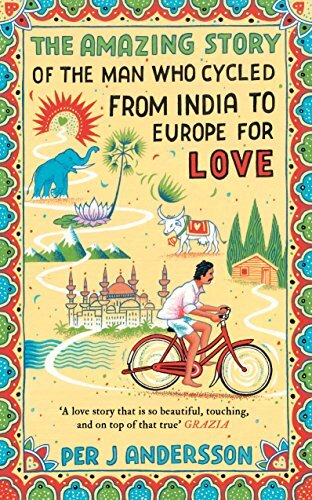 There is nostalgia too in this charming book which evokes the hippie route from Europe to India in the 1970s. It is the true story of a humble Everyman known as PK who comes from the untouchable caste and is not allowed to forget it as he is growing up in the Indian state of Odisha (formerly Orissa). He has a rare talent for art and after moving to Delhi his skill at portraiture comes to the notice of celebrities including Indira Gandhi as well as to a stream of European backpackers. One of these is a 20-year old Swedish woman called Lotta with whom PK falls in love. But unlike the multitude of holiday romances that come to nothing, they married in 1977 after PK—with next to no money—cycled and hitch-hiked and charmed his way across Asia to her home town of Borås in Sweden. If this were a film (and surely it will be eventually) you would think it a feel-good rom com. But it is all true and, 41 years later, they are still married and the parents of two children. The archetypal hero's journey provides a satisfying narrative arc in which a hero goes on a quest and an adventure, overcoming ogres and obstacles, to win his lady love. PK earns enough money from selling his sketches, and placates enough reluctant border guards the same way, that he is able to cross Pakistan, Afghanistan, Iran, Turkey and Europe, just two years before the Iranian Revolution and Soviet invasion of Afghanistan made this route impassable. His journey is remarkable not so much as a feat of physical endurance but on account of his irrepressible spirit; he travels on two wheels, "powered by grit, tenacity... and love". Although India is not the primary subject, this book will give pleasure to anyone who has enjoyed travel in India, especially in the days before it became a global economic powerhouse. Old and New Delhi are vividly depicted: meat frying over charcoal barbecues in tiled courtyards, sleepy chai boys, itinerant sugar-cane vendors, the colonial arcades of New Delhi. PK makes his living by sketching portraits of travelers in Connaught Place and the passages brought to memory details like the street ear cleaners with their sharp instruments and notebooks of testimonials. It is refreshing to see the usual travel of direction (west to east) reversed and to have a protagonist who is not a privileged Western adventurer. Although the author is Swedish, he captures PK's eastern mindset and spirituality. The book opens with a prophecy made by an astrologer at PK's birth that he will marry a girl from far away who will be musical, own a jungle, and be born under the sign of Taurus. PK's belief in this far-fetched prediction is vindicated in all respects, injecting into the tale a touch of magical realism. It is life-affirming to think that of the half a billion people in India in 1971, one individual from the humblest of backgrounds could achieve this metamorphosis. His story is based on an assumption that anything is possible, and his conviction is contagious. It is quite possible that Geraldine DeRuiter can't ride a bicycle. After losing her job in Seattle aged about 30, the author hits on the idea of writing online about her love of cake, movies and (incidentally) travel. The travel is exclusively to accompany her entrepreneur husband on business trips. She presents herself as a frightened rabbit, too afraid of getting lost to leave the safety of their (no doubt 4-star) hotel room. A fear of losing her way is only one of the many neuroses that make her into a self-confessed "terrible traveler". It takes her three hours to pack for anything. She can barely point out Asia on a map. She has dietary requirements [italics hers]. She can't do anything on a plane without barfing. And so on. At one point she earnestly regrets that she is so "damn high-maintenance"—and the reader (never mind her long-suffering husband, Rand) may start to feel likewise. Judging from the many reviews that praise the hilarity of this book, some readers will find the wisecracking self-denigrating authorial voice highly amusing. Whether you find her ditzy helplessness entertaining depends on your starting point; I struggled to enjoy the capers of a woman whose mantra when exploring a place on her own is "Rand is only a cab ride away". The book is primarily an exploration of her family relationships, including with her mother (a mad Italian), her father (a stern Russian), and of course with her workaholic husband. Trips to London, Sydney, Ireland, Munich, and the Midwest are convenient backdrops to lots of introspection. Although the style is fluent, it is sometimes plain silly: on a youthful trip to Italy she consumes so much gluten she expects to turn into a human-lasagna hybrid. At other times the wit shines through: afraid that the Royal Observatory in Greenwich will close before she can get to see John Harrison's sea clock, she rushes up Greenwich Hill "looking like someone who needed astronomy very urgently." Occasionally the writing is touching and evocative, as in the description near the end of the book of her grandparents' home village in southern Italy where the orange light from lampposts bathes everything in a coral glow and she feels a visceral connection with her origins. Like so many books that develop out of blogs, this would have benefitted from a heavy editorial hand which might have reined in the self-indulgence.